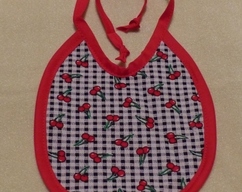 This adorable baby bib is made in a cotton fabric with green dots and red cherries design. 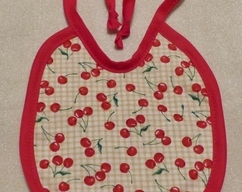 The reverse side is a soft white knit and the bib ties behind the neck. 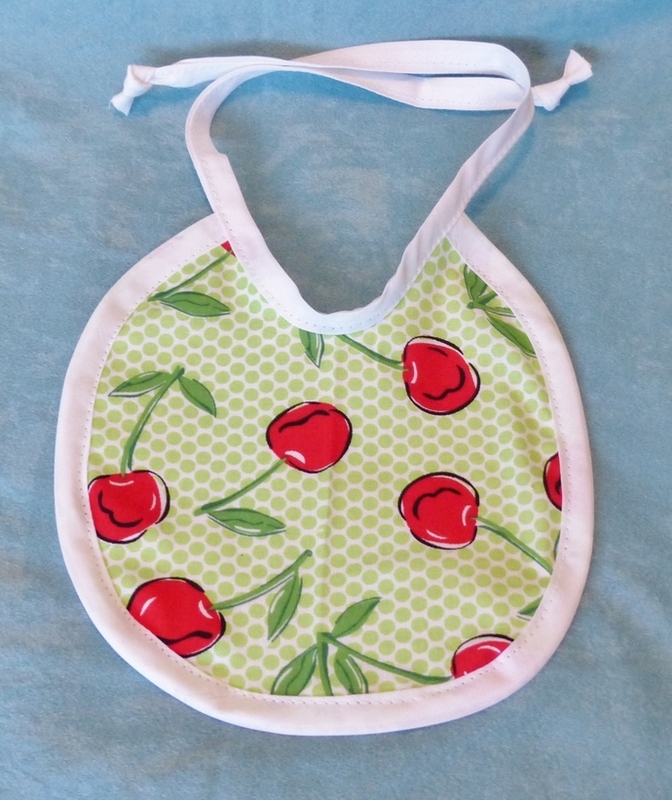 This bib is machine washable; lay flat to dry.